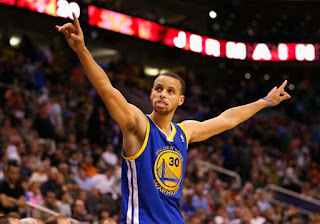 Much like many LeBron stans or Kobe stans aren't ashamed to mention their fandom, I'm not ashamed to let it be known that my favorite player to watch in the NBA is Stephen Curry. 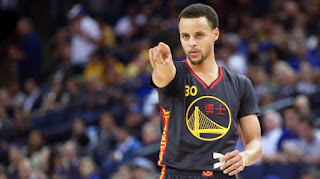 As the leader of the Golden State Warriors, the best team in basketball, Steph is seen by many as one of the top three players in basketball by far. His work ethic since coming into the league in 2009 has been nearly unrivaled, as he has improved in many aspects of the game, while cementing himself as the greatest shooter of all time. Still, Steph is more than a shooter. He has a near complete game on the court, as he is surprisingly one of the best finishers at the rim, has quite possibly the best handles in the game, and actually can shoot decent from midrange. While his defense has been criticized over the course of his career, Steph would end up silencing those critics multiple times over the years, most recently in the Western Conference Finals against the Houston Rockets. While he wasn't the most excellent defender, he was one of the best defenders in the entire series, and he was the most crucial part of the Warriors winning that series, which made me think about his run over the years, specifically the last five years. As I noticed NBA Twitter and those who love discussing basketball talking about the recent five year run for LeBron, as well as five year runs for Kobe, and more, I stopped and realized that Steph has had one of the best five year runs ever. Since the 2013-2014 season, Steph has broken records, won championships, won MVPs, and made history. How many players can say they've done that? Magic Johnson? Michael Jordan? That's mostly it in the modern basketball era honestly. So, with that, I wanted to take a look at his 5 year run, from the 2013-2014 to the current 2017-2018 and see how his run stacks up against other great runs over the years. While his 2017-2018 isn't over just yet, there is much to be discussed about this year, his stats, and how close he is to solidifying his legacy even more with a Finals MVP and a third championship ring. Let's take a look at Steph and the last 5 years of his career. We are witnessing greatness. - I often wonder what would have come from this season if the Warriors made it beyond the first round of the playoffs. Honestly, that's the one thing that sticks out in my head. Steph and the gang seemed to be on a mission and although Klay Thompson wasn't as good as he is now, he was still a decent second option and a powerhouse at the 2, but this was the real breakout season for Steph. Averaging his career high in assists this year, as well as putting up 261 threes, Steph would continue the amazing run he was on the year before and hint at the possible greatness that was coming. Steph was firmly the leader of this team and he would lead them to a 50 win season, earning his way to the NBA All Star game and being named to the All NBA team. Individually, Steph was entering his prime, as his handles and shot making ability were too notch, but the Warriors hadn't quite figured it out yet. Under coach Mark Jackson, the Warriors were finding their rhythm and groove as a team, but they just weren't there yet. Regardless, Steph had an outstanding season, finishing with his highest scoring average that year, while solidifying himself in a way as the greatest shooter of all time this year. 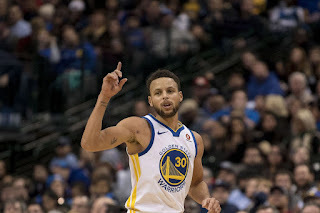 It was a highlight reel watching Steph play, as he would put up some ridiculous performances against the Blazers, the Jazz, the Bulls are more. 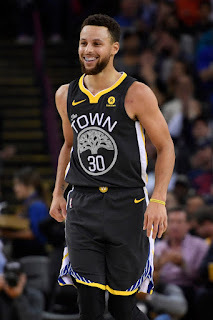 However, one glaring issue seemed to be that despite those great individual performances, the team would lose some of the highest scoring games for Steph. Was that a product of the Warriors not having an efficient system? Was that Steph not leading the team in the manner in which he knew he could? Was it the coaching of Mark Jackson? It may have been all of those things, but for a team that had struggled in years past, the Warriors managed to win 50 games and find a bonafide star in Steph. After his work the previous season in his career high Knicks game, as well as the amazing performance he put in against the Nuggets and Spurs in the playoffs, Steph finally became the player that he had the potential to be this season... all he needed was the coaching to take it to the next level. Which leads me to the next season, where the stars aligned, Steph became the legend he is today, and unknowingly to most of us, the Warriors dynasty would begin. -For many, this would be the turning point. With Steve Kerr announced as the new head coach of the Golden State Warriors, there was a feeling of uncertainty around the team, with many feeling Mark Jackson was fired a bit too prematurely. While we would soon learn that the Mark Jackson firing was justified, one thing we didn't know was that Steph would have one of his best seasons thus far, developing into a true leader on the floor and one of the most popular players in the sport. 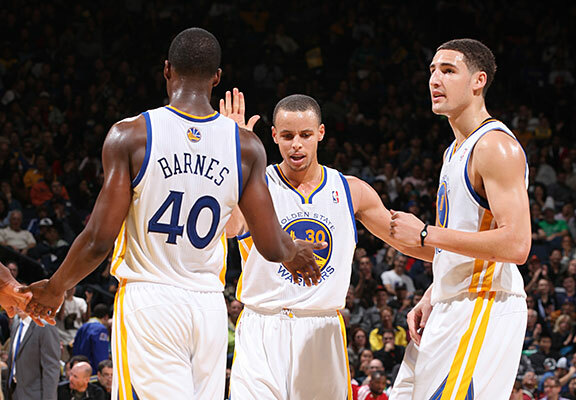 The Warriors would start off this season on a roll, claiming the top spot in the West and never really looking back. Steph was at his best this year, almost hitting that 50/40/90 mark this year, shooting his best from the field thus far just about. After leading the Warriors to an amazing 67-15 season, Steph would then take control in the playoffs and find his way to lead the Warriors to the Finals. I remember thinking the Warriors were huge underdogs all playoffs and for the most part, they were. Despite the no. 1 seed and 67 wins, many felt the Warriors would get defeated by the Clippers or the Spurs if they met in the Western Conference Finals. Neither team made it there. The Warriors would sweep the Pelicans, take a tough battle against the Grizzlies, make easy work of the Rockets, and defeat the Cavs in 6 to begin a championship journey that has been one of the more interesting in the history of basketball. 2014-2015 was one of the best years of Steph's career and it remains the true beginning of the ascension of a superstar and perhaps the most popular star in the game today. 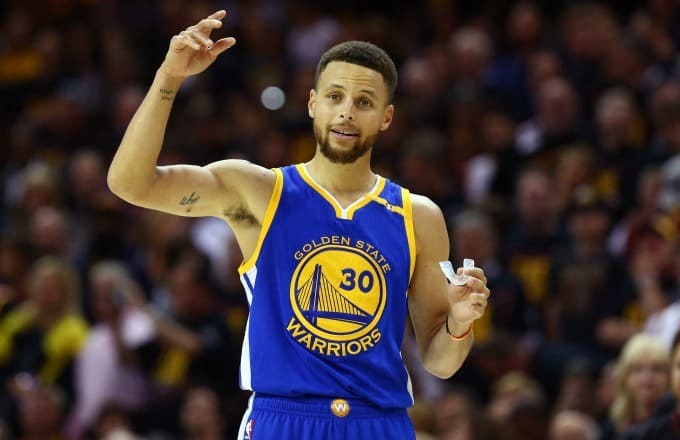 -This might be the greatest season I've witnessed since Michael Jordan and his amazing run, and honestly, it would be hard to truly explain the magnitude of the greatness Steph exhibited in this season, and it needs to be seen to be believed. Steph was magnificent all year round, controlling the pace of the game, and making teams break down with a succession of threes or drives to the basket. 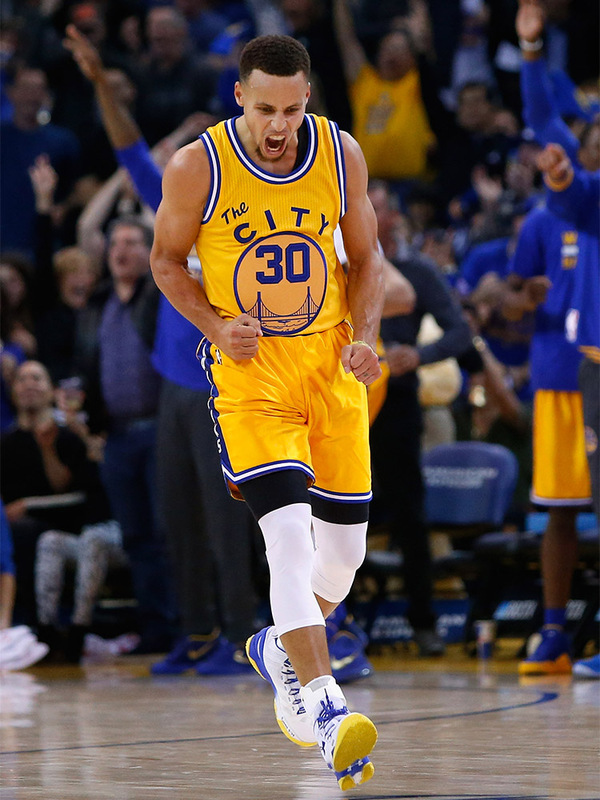 This was the year that the legend and the fear of Steph became real. Whether it was hitting 12 three pointers in one of the greatest performances ever against the Thunder, scoring 175 points in one week with 4 amazing performances, hitting over 400 threes in a season, and winning his first scoring title, literally everything that Steph did this season was something that we would deem impossible. 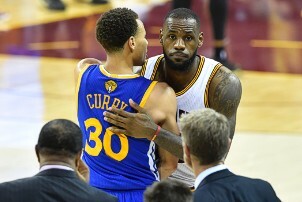 He was on pace to have perhaps one of the greatest seasons ever, as the Warriors would end up going 73-9 to break a 20 year record set by the Chicago Bulls and it seemed as if they were ready to complete history, before injuries put a stop to their dominance and they would lose a 7 game series to the Cavs in the Finals. 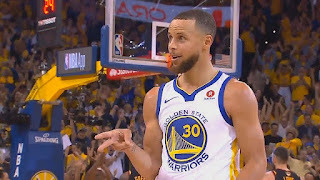 However, despite the loss, the grit of Steph after returning early from an ankle and knee injury pushed the Warriors to the Finals over a 3-1 deficit against OKC and got them to a 3-1 lead against the Cavs in the Finals. Playoffs and injuries aside, Steph had one of the most impressive regular seasons I've ever witnessed. -To many, this was a down season for Steph, and it was still better than 97% of the other players in the league. That's how good Steph is. He shot what has to be considered slightly below his usual from three, but his PER was extremely high all year and once Kevin Durant went down with an injury, we saw the emergence of the two time MVP. In many ways, this was a season where you knew there would be some struggles from Steph due to the addition of KD, and there were a few struggles, but for the most part, Steph seemed to be comfortable in his role deferring to make KD feel welcome in the Golden State offense. Through the first half of the regular season, it would be a bit of teamwork between both Steph and KD as they attempted to find the perfect balance. There were some struggles, as the Warriors blew big leads and Steph seemed to play softer, but at the January mark of the season, Steph took off as usual. Steph would add to his legacy, becoming the only man to put up 300 or more three pointers twice in a season, finishing the year with an amazing 324 threes, which is second all time behind his 402 the previous year. 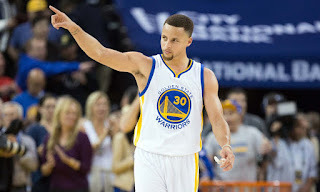 Heading into the playoffs, the Warriors seemed to feed off the energy of Steph, as he would be the leader in their first round sweep of the Blazers (KD, Livingston, and Iguodala were all out for stretches in this series) and I have always felt that Steph was the most important piece to the Warriors winning the NBA Title this year. 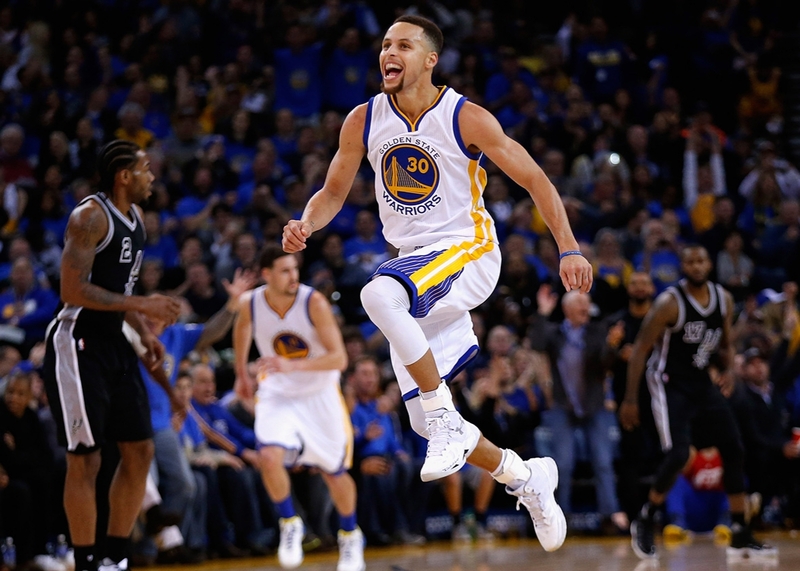 They would finish the postseason with a record of 16-1, which is the best record in the history of the postseason. While Steph didn't get the Finals MVP, there was no one on the floor better than him during the playoffs, as the defensive strategy to slow him down helped provide KD with big buckets and yet Steph still finishes with 27/8/9 for the series. That's the thing about Steph. He can quietly control the tempo of a game, a series, a season, and then you look up and realize that he has put up game changing numbers on you. While the 2016-2017 season wasn't the greatest for Steph by his standards, it is still an amazing season that showcases just how great Steph is as a player. -This season is slightly uneven due to him only playing 51 games, but when fully healthy, Steph has seemed better than ever. This season, he has been more attentive and focused on the defensive end than ever. 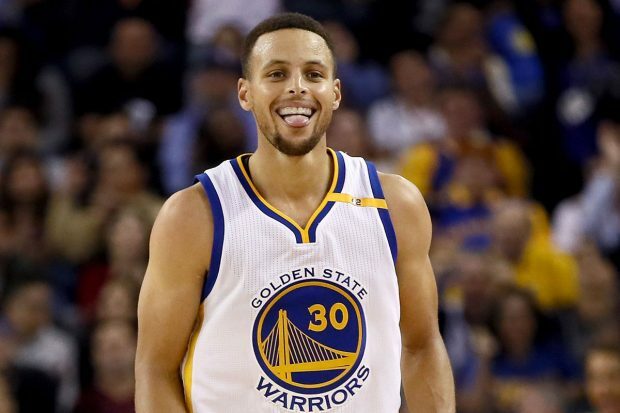 Offensively, while Steph is able to drain disrespectful 30 foot shots in anyone's face, he has opted to play much smarter, a sign of the high IQ he possesses for basketball. This season was shaping up to be his best, or at least second best (the MVP year is the one), but two injuries managed to cut that short. The adversity that Steph has had to play through this year is much different than years prior, as Steph has been amazingly durable over the last 5 years, which makes his run even more surprising. The Warriors finished the regular season 58-24, and Steph would finish the season with 26.4 PPG, 5.1 RPG, 6.1 RPG with basically a 50/40/90 season to boot (49.5% rounded up would give him the 50/40/90), an impressive feat for Steph, or anyone for that matter. 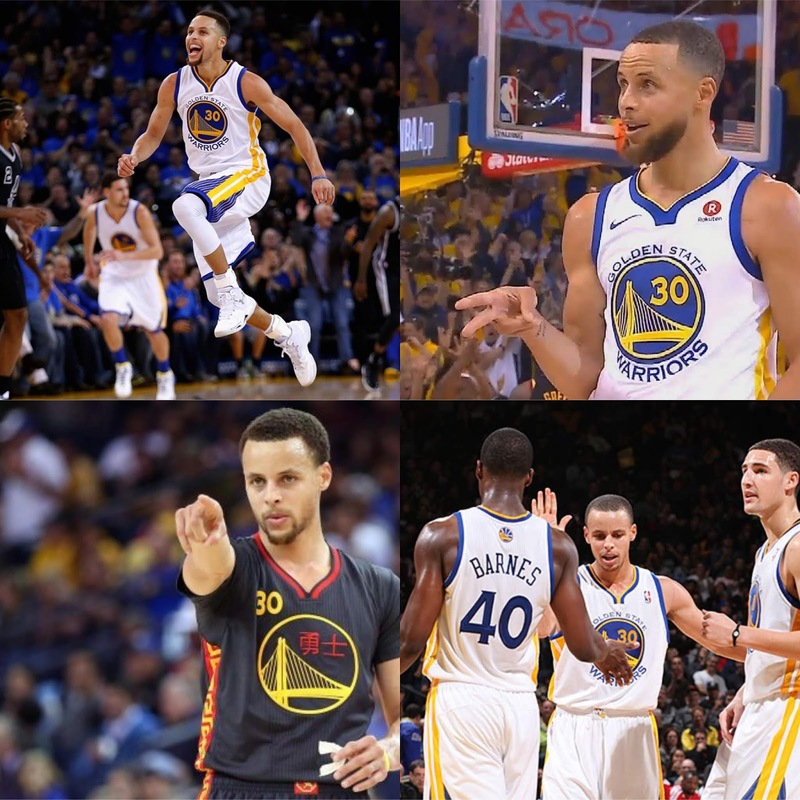 Lost in all this was the consistency of play Steph exhibited in this year, as he would have some stellar performances against the 76ers, the Nets, the Bulls, the Rockets, the Clippers, the Celtics, and many more. Steph found his rhythm in January, winning Player Of The Month, before injuries slowed him down as the season came to a close. As it stands now, Steph is currently playing some of his best basketball in the NBA playoffs, working to get his first Finals MVP, which seems likely at this point. All of these things, combined with the fact that Steph is moving up the ladder on the all time threes made list in the regular season and the playoffs (he is currently no. 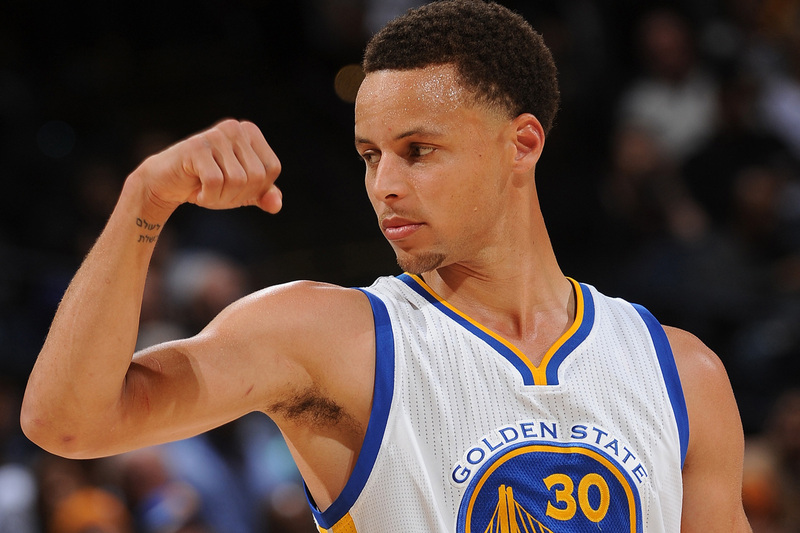 2) makes Steph such an all time force. 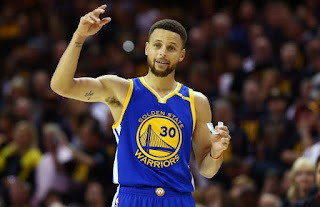 He now also owns the top spot for most threes in the Finals as well as the most threes in a single Finals game, which he just accomplished the previous night. For Steph, during this five year run, we have witnessed some of the most incredible feats, and in many ways, he could just be getting started. If Steph is just getting started and the Warriors dynasty hasn't even hit their peak yet, then the NBA might be in a world of trouble. We could be discussing how Steph had one of the greatest 8 year runs in NBA history in a few years, and to be completely honest, I wouldn't be surprised. 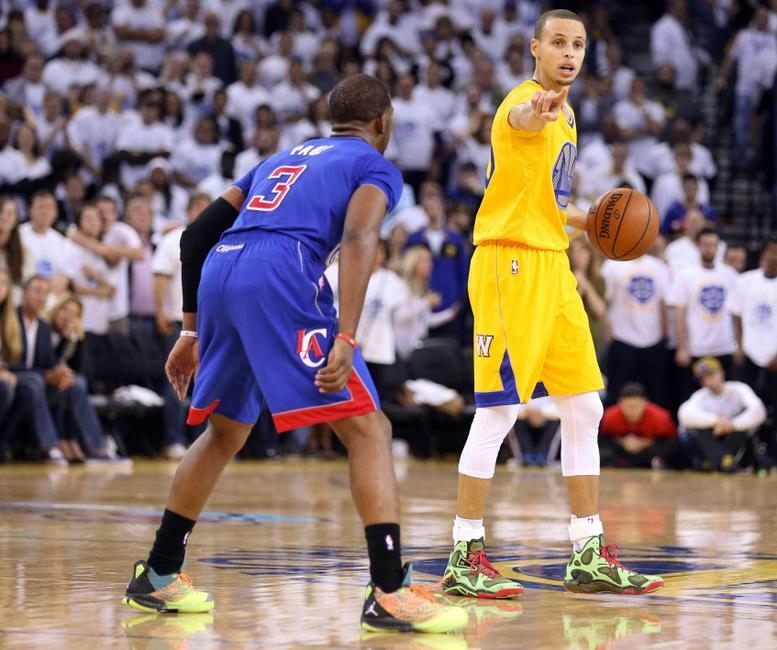 What will the final chapter in the Steph Curry legacy be? Who knows. What we do know is that these last five seasons, he has dominated the game and put the world on notice that while the King is still the "best" in the game, he doesn't necessarily run this era. Steph does. You may not like it, but the facts and the stats don't lie.